The long-awaited China tour around my CD Flower brought me a.o. to Beijing, Shanghai, Guangzhou, Shenzhen and Hong Kong but also to Singapore and Malaysia. I was accompanied by five great musicians who all lived in China. 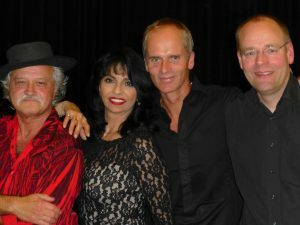 Then I flew to Japan for a series of concerts at the Cotton Club around Christmastime and there I was reunited with my own boys who had been flown in from the Netherlands. December was quite a month! My good friend and virtuoso harmonica player, Giuseppe Milici, celebrated his 25th anniversary and asked me to be part of the celebrations! I felt very honored and travelled to Marsala in Sicily, a beautiful historic town where we gave a great concert in the courtyard of one of those beautiful old buildings. I was asked if I would be willing to contribute to the new cd of the Pasadena Roof Orchestra, and of course I said yes! 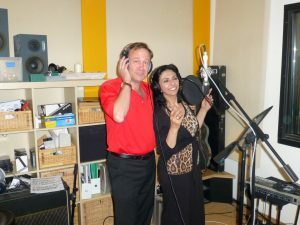 I did 2 songs of which one duet with Duncan Galloway that I recorded in Hamburg . Meanwhile the cd has been released in Germany by Herzog Records and it sounds great. Check it out! 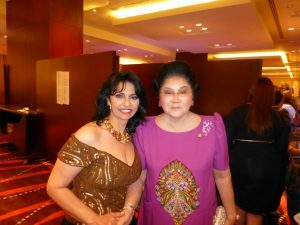 Meeting with Imelda Marcos after the concert. She kindly invited me to her home and that turned into a very interesting evening! Press conference in Manilla prior to the 2 concerts I gave. Muziekids is a heartwarming and unique initiative. Specially designed for children up to 18 years, who are unfortunate enough to have to stay in a hospital. In these hospitals the Muziekids Foundation realizes fantastic fully equiped music studios that offer many forms of music experience to the children. This way Muziekids makes them forget pain, grief and the loss of home, so that their stay is more enjoyable. 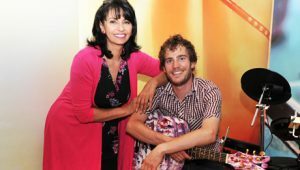 The studios are available seven days a week, under the guidance of an experienced music teacher. 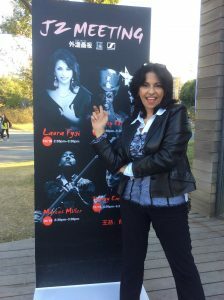 On May 12, Laura performed at the opening ceremony of the Asia Week in the Park Theater in Eindhoven. Of course she sang a few titles from her Chinese CD that were sung lustily by the mainly Chinese audience. A very special experience, said Laura! She also met the Chinese Ambassador, Mr. Chen Xu, who told her he had only been in office for four weeks and, together with his wife, had thoroughly enjoyed her performance. 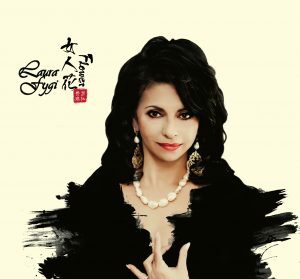 Because of her 20th anniversary, her Chinese CD and her international success in various countries around the world, Laura was presented with a special award. 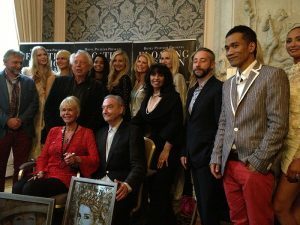 The event took place on May 21 at the Pulitzer Hotel and highlighted the start of the Amsterdam Floating Fashion Week. The jury, headed by publisher Phia Baruch, praised Laura for her long lasting national and international career. Laura has conquered the Chinese market which is quite unique for a European singer. Fin-art artist John Ridder made a beautiful painting for the occasion. It was presented to Laura by international fashion designer Sheila de Vries. 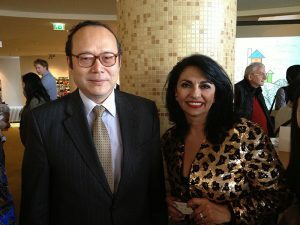 Among the guests were international renowned shoe designer Jan Jansen and Dutch architect Cees Dam.